Meanwhile Burnley manager Sean Dyche has said striker Nahki Wells is yet to make a decision on his future at Burnley. Wells trained with Burnley ahead of their Europa League tie with Istanbul Basaksehir and Dyche said his future is yet to be resolved. Wells was linked with a move to Derby County this summer, and held talks with the club over a potential move as part of Matej Vydra’s deal to Turf Moor. It looked like the Bermuda international could join the Rams on a season-long loan, but that did not happen. “It was part of the conversation at an early stage with Vydra going to Burnley, and it didn’t come through in the end,” Derby boss Frank Lampard said when asked about Wells last week. The 28-year-old is widely expected to leave Burnley on loan this summer having dropped further down in the pecking order. Wells joined Burnley a year ago in a £5m deal from Huddersfield Town. 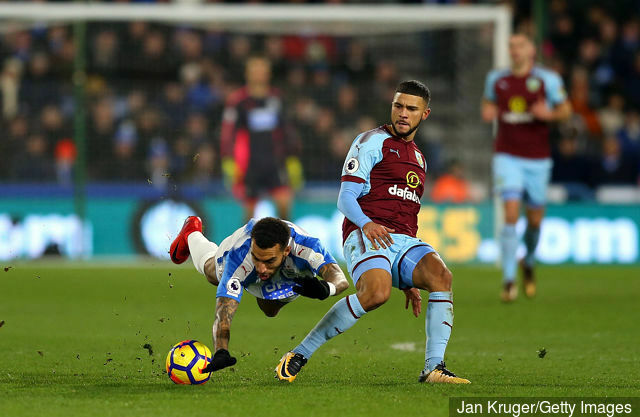 “Nahki is fighting for his chance to play and there’s been a bit of interest in him from outside,” Dyche told the Lancashire Telegraph.